If so much goodness could come from such tight and informal quarters of the Bocqueria, we were dying to indulge in some of the highest quality preparation as well. We were particularly curious about the culinary conquests of the infamous Adria brothers. 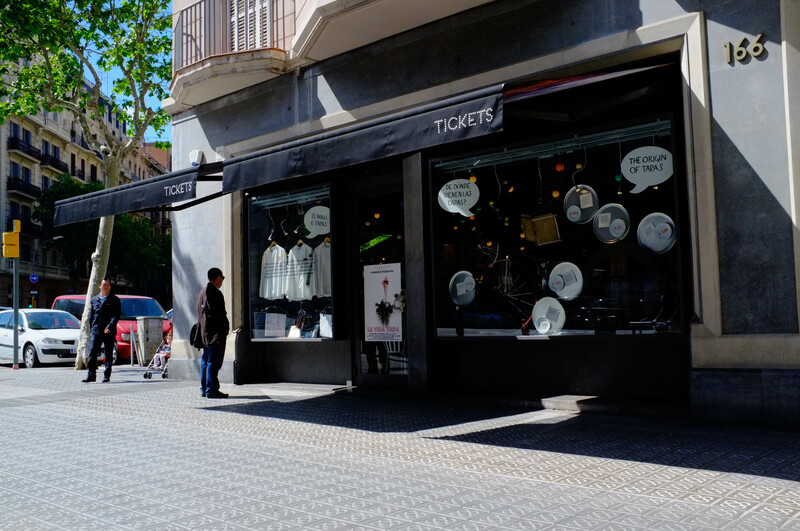 Anthony Bourdain has featured El Bulli twice on No Reservations and it is no surprise that the popularity of this Michelin 3-star restaurant has managed to maintain quite a buzz despite its closing in the summer of 2011. 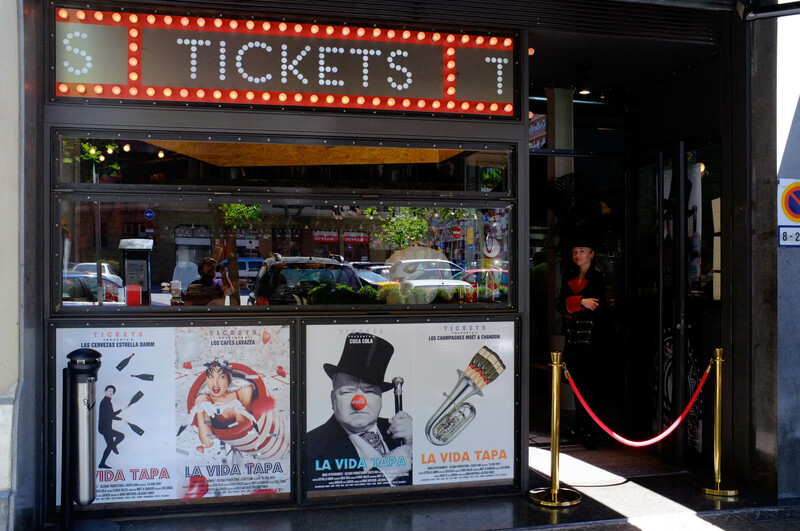 We had heard of Tickets, a tapas bar featuring Catalonian cuisine brought to life by the genius minds of Ferran and Albert. However, securing a reservation proved to be more difficult than we thought. It was required to have at least three months lead time and all attempts to express interest in filling any last minute cancellations were somewhat lost in translation over the phone. 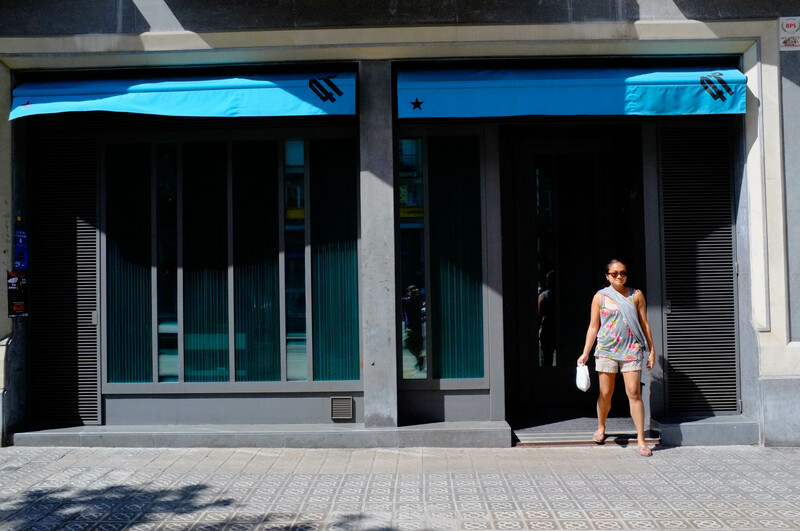 To further confound the situation, there was talk of a cocktail bar named 41 Grados, which was supposedly next door to Tickets and had a limited seating dinner by the famed chefs as well. So, after opening Pandora’s box in the Bocqueria, we set out to find their location and see if we’d have any luck sorting it all out in person and finagling a time slot. We spent about fifteen minutes ogling at the restaurant fronts from the nearby benches. They were, in fact, two separate establishments right next door to each other: Tickets, decorated in a carnival like aesthetic and 41 Grados shrouded in a mysteriously tinted glass, leaving the contents of its interior to the imagination. Finally, we mustered the courage to plead our case for inclusion. Sadly, we reached a couple of dead ends as the front of Tickets was guarded by a lady decked in old fashioned ticket booth attire and the door to 41 Grados was locked. Intimidation wrapped in disappointment. Luckily indeed three times a charm as Carmela managed to negotiate a reservation for three just a mere three nights later. We are still in thankful disbelief that our relentlessness paid off!! Happy Valentine’s Day Happy Anniversary to No Wrong Turns!